If you’ve ever been to or lived in South Asia during the winter, you’ll know that most weddings take place during this time. Just like spring weddings are favored in the West due to the warming temperatures, winter weddings are common in South Asia because it’s finally cool enough to step outside without breaking into a sweat! Every country, region, city, religion, sect or even family have different traditions, so attempting to go into any detail about what the ceremonies entail would be an impossible task! 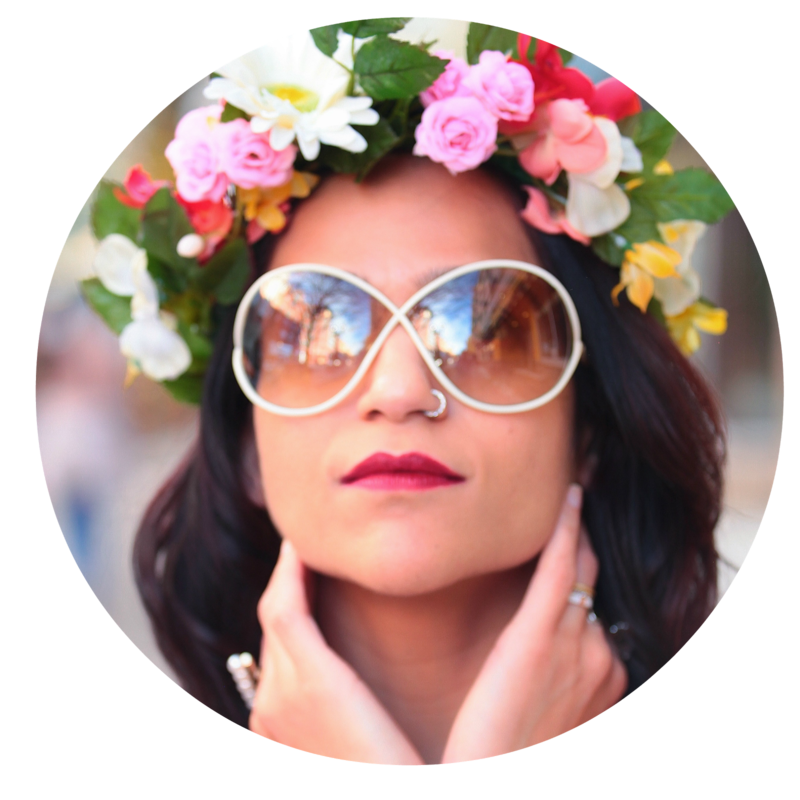 But if you’re interested in that, check out Tanvi’s wedding posts. Weddings in Bangladesh are a mix of Muslim traditions (the predominant religion here) and Hindu customs (‘leftovers’ from when Bengal was a Hindu/Muslim state in India), and there are normally five occasions to attend: Holud (Haldi in Hindi), Pithi, Mehendi, Nikka, and Reception. Not to mention countless celebratory lunches and dinners after the reception - no rest for the poor bride and groom who are probably desperate to escape to their honeymoon! ;) Weddings are very dressy affairs - everybody dresses to the nines, usually in traditional outfits e.g. saris, lehengas, or in some cases dressier salwar kameezes. So, for all of those who are to attend the wedding celebrations (often 200 or more people!) getting dressed is a bit of a daunting task. So, after this prolonged introduction I am going to tell you my sneaky tip for surviving wedding season... the ZIP UP SARI! I know I’m not the only one who has difficulty getting those pleats just right (am I?!) 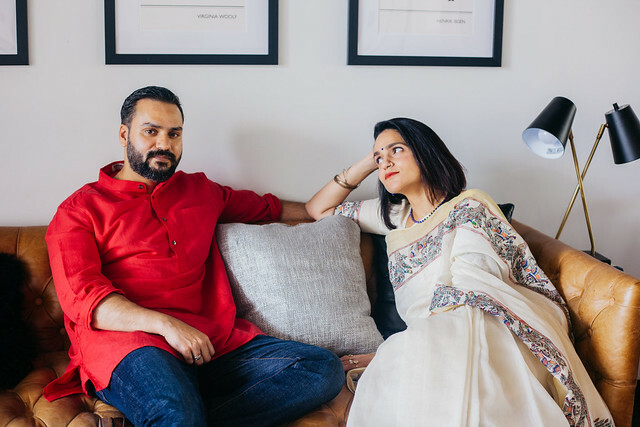 The length of the sari has to be perfectly proportionate and everything has to be pulled and pinned exactly into place... so why not take your sari to a tailor beforehand and get him to transform it into a ready-made zip up? All the pleats will be stitched in, so all you have to do on the day is wear the sari like a skirt, zip it up, wrap the pallo however you please, and you’re ready to go in five minutes. Can you tell I’m wearing a zip-up? How Ingenious and Adorable, me wants a zip up sari toooo, where can I get one? please help!!!! Thanks sweetie, I LOVE reading this so much!!!! How gorgeous is to know more about the beautiful Leia. For those wondering where you can get a zip-up, I don't think they are available in shops. You have to take a sari to a tailor and he will alter it into a zip-up based on your measurements! What a brilliant idea! I tried to tie saris on my own after buying one in India and it's so hard to get the pleating right and then secure it! Zip up saris are awesome! Oh, Leia is the cutest! I love dressing up for weddings! I've read about those zip-up sarees, such a great idea for us clumsy Westerners who haven't got a skilled sari wearer on hand. Thanks for the idea---you look wonderful! hahaha such a great tip! I remember in high school, on culture day a lot of the South Asians would wear saris and there'd be a long line of girls in the bathroom trying to figure out how to wrap it correctly! And Leia, you look stunning here! Such a beautiful sari. This is the most marvellous piece of tip... love it.. Will try that out for sure.. thanks for sharing! Beautiful dress. When I renew my vows next year I want my dress to look like that! I'm in love. Zip up sari? How genius. We heard of prestithced saris...but never with a zipper. Looks great! You can't even tell the difference. So lovely to find you here, Leia. The zip-up sari sounds genius! Pleatless sarees are such lifesavers! She looks gorgeous as always and I never would have known there was a zipper! Wow thats a blessing for ppl like me who hate to wear sarees coz they r cumbersome. I love hearing and learning about weddings! Well, Leia, you look divine, i really really love this outfit and cannot tell that it's zip up what so ever! This is an incredible development! I don't remember zip-up saris when I was in South Asia thirteen-fourteen years ago. And I was research sari production back then! I was so sad I could never comfortably wear one! Now, with the zip-up, I bet I could! 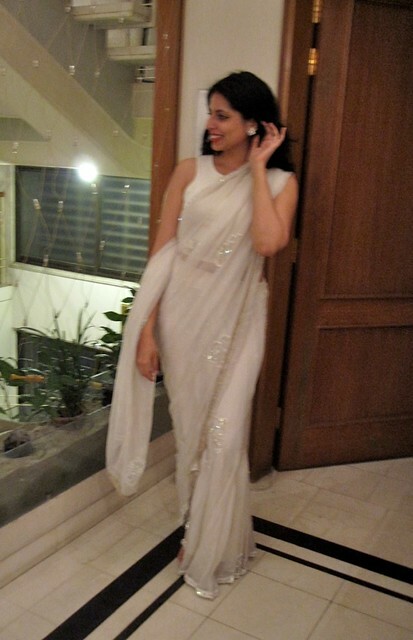 And you look beautiful in your white sari! Stunning! Zip up Sari?? Amazing. Why did no one introduce this to me back home in Trinidad when I used to attend my friends' Divali celebrations and weddings? That's a brilliant idea! I love saris, they are sooo glamourous! Brilliant tip. I've seen them in the shops and always wondered how they look when worn. You can hardly tell the difference. Sadly, though for our weddings we wear it differently as I mentioned on my blog. Perhaps someday there'll be a zip up version of that. Very resourceful. I would of probably put a zipper in the sari myself if I was wearing one, you really can't see it at all. You look beautiful as always. Leia, you did a wonderful job on this post! I loved learning everything!!! leia looks angelic in the white and silver, and what the heck is up with the zip up sari!!?? ingenious! why hadn't i heard of this before! lol (not that i wear saris or anything, but when i did, zipped up pleats woulda saved me many an embarrassing moment) HA!